Engen are giving back by helping to keep our beaches clean ahead of the summer season. 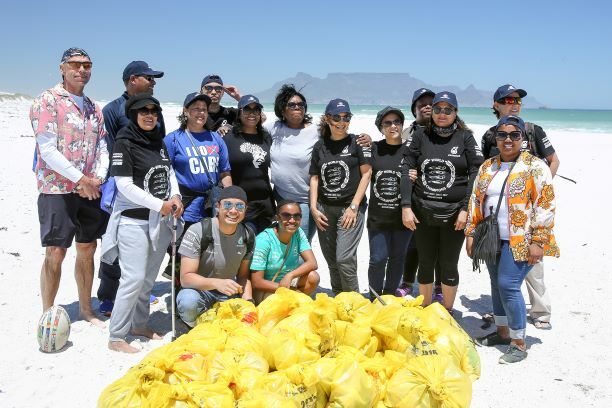 Marking the brand’s 25th birthday and a quarter of a century of caring, Engen management and employees decided to spend their ‘anniversary’ out in the community, embarking on a number of clean-up initiatives around the country, including beach clean-up’s in coastal areas and river clean up’s for inland areas. Taking time out of their busy day, approximately 100 Engen employees were transported to Blaauwberg Nature Reserve in Cape Town on 22 November where they spent the morning cleaning the area as part of a drive to help make our beaches cleaner and healthier for all beach goers and marine life. Adhila Hamdulay, Engen’s Corporate Social Investment Manager says it is important for Engen to actively support and take care of the communities in which the company operates. “Blaauwberg beaches are enjoyed by diverse sections of the community and across all ages. We were very excited to work together as a company and do our part for the environment and keep these beaches clean. “We picked up, broken glass, packets, straws, cigarette lighters and butts, and plastic bottles, which are not biodegradable and very harmful for marine life,” adds Hamdulay. The Blaauwberg Nature Reserve has a spectacular view down fynbos slopes from Blaauwberg Hill, across the city, to seven kilometres of rocky, sandy coastline, the ocean and beyond. Blaauwberg Hill, is one of the few viewpoints in the world from where you can see two proclaimed World Heritage Sites, namely Table Mountain and Robben Island.